On Oct. 31st, Colonial reported another rupture in its pipeline southwest of Birmingham, AL. The first rupture happened on Sept. 9th and led to an increase in prices and delayed gas deliveries to pumps around North Georgia. About five days after the Sept. 9th rupture, fuel was rationed at some stations and at others not available. Early reports indicate gas prices will go up and fuel availability will be spotty, just as the few weeks after Sept. 9th. Southeast Governors are considering lifting driving restrictions on fuel delivery trucks to keep the region’s fuel supply up. Colonial Pipelines states that they expect the pipeline to be repaired by the weekend, Nov. 4th or 5th. After the Sept. 9th rupture, the Colonial pipeline was down for 12 days. Oct. 31st rupture was caused by a track hoe hitting the pipe and sparks igniting the gas. Alabama Forestry spokesperson, Coleen Vansant, said that crews built a 75-foot-long earthen dam to contain the liquid. The explosion ignited two wildfires that burned 31 acres of land. There was one fatality. The explosion site is very close to site of the Sept.9th rupture. During that event, the pipeline spilled 252,000 to 336,000 gallons of gasoline adjacent to the Cahaba River, an ecologically sensitive and among the most biologically diverse river systems in the United States. Colonial Pipeline is no stranger to oil spills. The Associated Press, using data from 2006 to 2016 reports Colonial has had 178 spills with a combined $39 million in property damage property damage. A Sept. 23rd article in the Atlanta Journal-Constitution states that Colonial Pipeline, a Georgia-based company, reported 128 spills over the past six years, ranking it sixth out of 208 pipeline companies reporting spills during those years. When the number of oil spills is calculated along with the total miles per pipeline, Colonial’s ranking is in the middle. After the September oil spill, the Chattanooga Times Free Press reported on three Colonial pipeline oil spills which have occurred in the past 37 years. In 1979, The Colonial Pipeline dumped 300,000 gallons at what was then the Volunteer Army Ammunition Plant. In 1996, either lightening or electricity sparks melted the pipeline, resulting in 63,000 gallons of oil spilled onto Lookout Mountain. In 2012, one of Colonial’s underground pipelines released 500 gallons of gasoline about 1,000 feet from the Tennessee River. 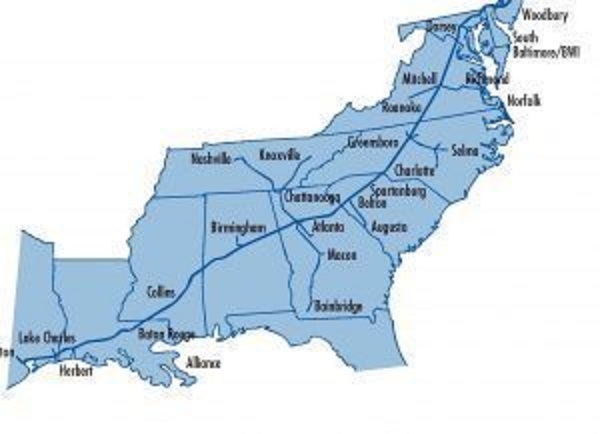 Colonial Pipeline is based in Alpharetta, Georgia. According its website, the company daily moves 100 million gallons of gasoline, home heating oil and jet fuel through its 5,500 miles of pipeline.